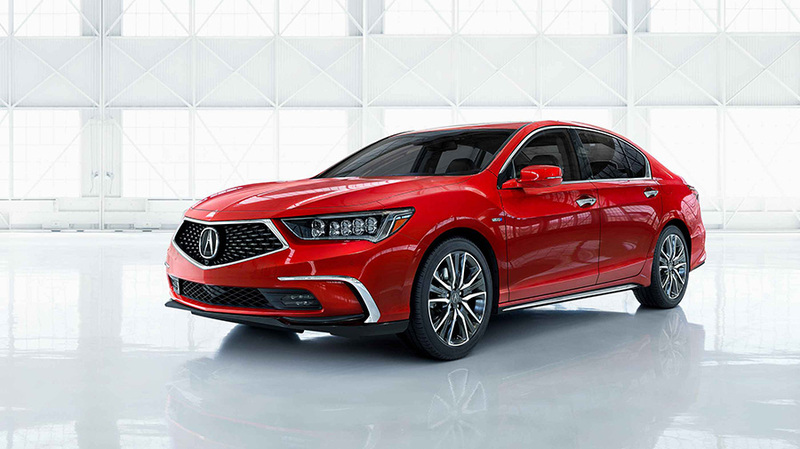 Acura’s top-of-the-line luxury sports sedan, the 2018 RLX, begins arriving in dealer showrooms tomorrow with new front and rear styling inspired by the new Acura design direction and its signature diamond pentagon grille. 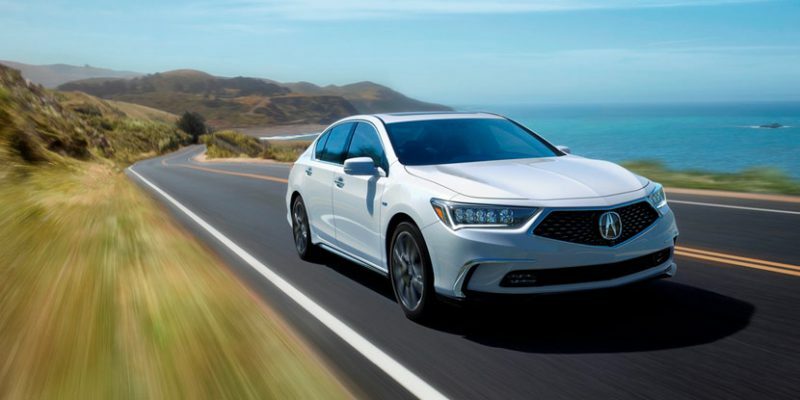 With a simplified lineup, two models are available—each in a single high-specification trim: The 2018 Acura RLX P-AWS starts with a Manufacturer’s Suggested Retail Price (MSRP2) of $54,900; The 2018 Acura RLX Sport Hybrid SH-AWDTM now starts at $61,900, a reduction of $4,050 compared to the out-going model with Advance Package. (Prices exclude $965 destination and other charges.) All-new seats are now available in a rich Espresso leather and two new premium exterior paint options are available for the first time on RLX. 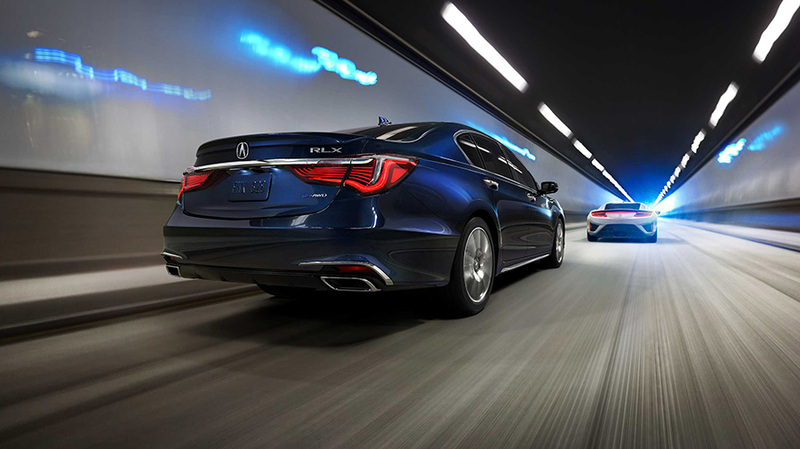 The 2018 Acura RLX showcases the brand’s Precision Crafted Performance DNA in two distinct high-performance powertrains, making it the most powerful Acura after the NSX supercar. 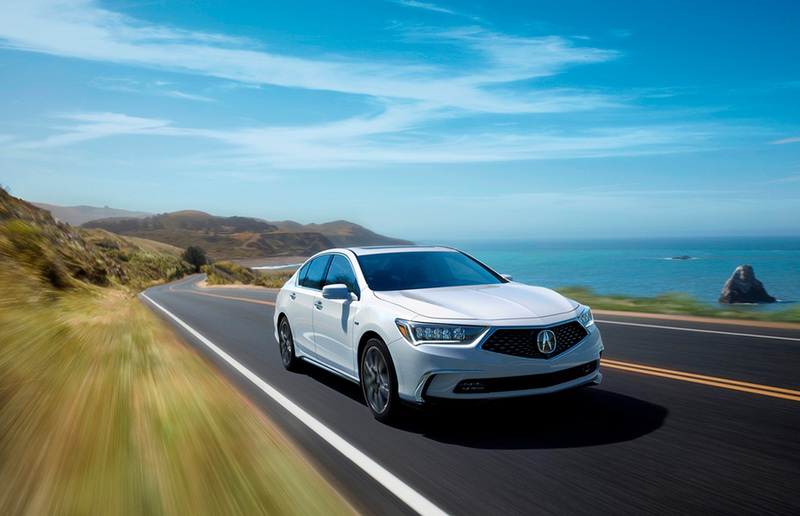 With the most performance of any Acura sedan, the RLX Sport Hybrid SH-AWDTM seamlessly integrates a direct-injected V-6 with three electric motors and Super Handling All-Wheel DriveTM for instant acceleration, outstanding all-weather performance and precise handling. The RLX Sport Hybrid delivers 377 peak total system horsepower and 341 lb.-ft. peak total system torque with its powertrain sharing its basic concept and some components with the NSX supercar. 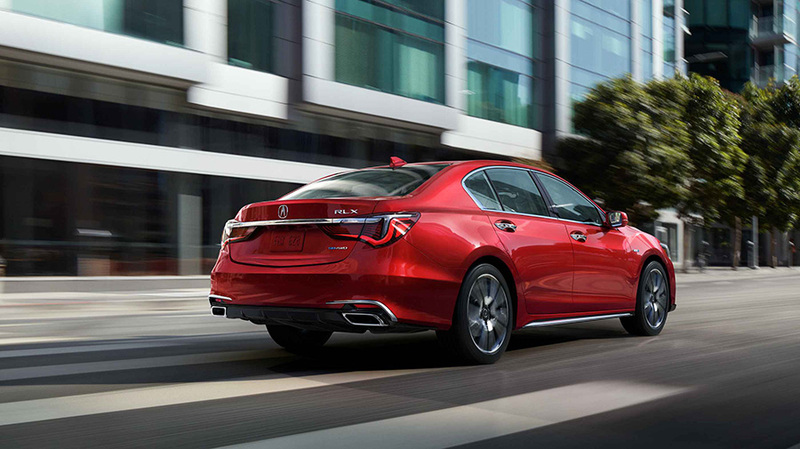 Also available is the 2018 Acura RLX P-AWS with Precision All-Wheel SteeringTM (P-AWSâ), powered by a 3.5-liter Direct Injection SOHC i-VTECâ V-6 engine delivering peak horsepower of 310 (SAE net) and 272 lb.-ft. of peak torque (SAE net) and mated to a new 10-speed automatic transmission delivering a more responsive and refined driving experience. 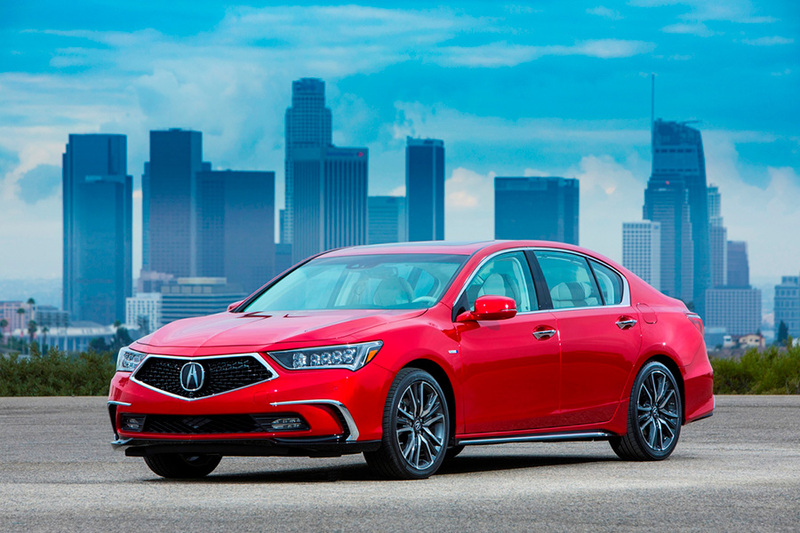 The 2018 Acura RLX P-AWS has EPA fuel economy ratings of 20/29/23 mpg, and the 2018 Acura RLX Sport Hybrid came in at 28/29/28 mpg (city/highway/combined)3. In addition to the diamond pentagon grille, the 2018 Acura RLX design enhancements include a more sculpted hood, new wheel designs, newly designed LED taillights, exposed dual exhaust finishers and gloss black rear diffuser. 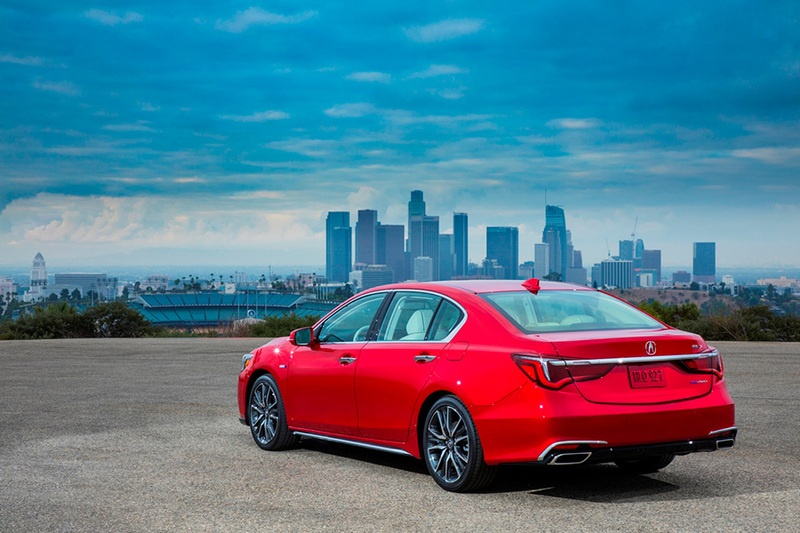 The 2018 RLX also offers a fresh color pallet with six new exterior paint options (seven total) including two new premium colors – Brilliant Red Metallic and Majestic Black Pearl. 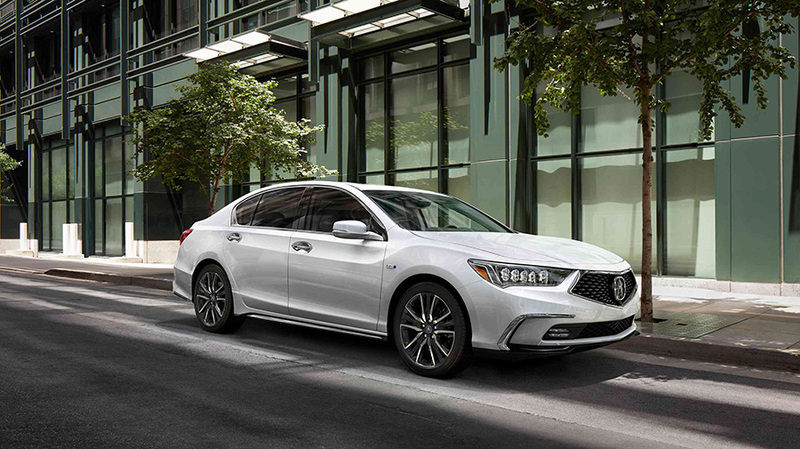 Inside, the 2018 Acura RLX receives premium new materials and touchpoints including completely redesigned Milano leather seats with high-contrast, piping and stitching, as well as a new Espresso interior option and available black headliner, all of which add a new level of sophistication to an interior with class-leading space and comfort. 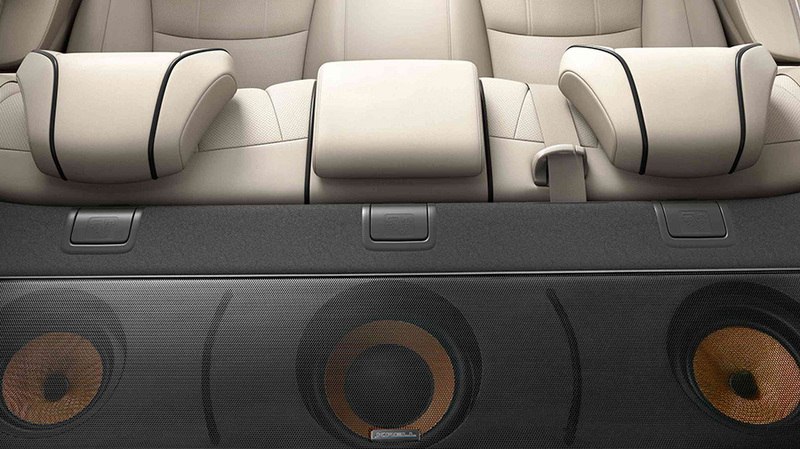 Standard features on the 2018 RLX Sport Hybrid include a head-up display (HUD), premium Krell Audio System with 14 speakers, Surround View Camera, front and rear parking sensors, LED fog lights, remote engine start, ventilated and heated front seats, heated rear outboard seats, heated steering wheel and more. 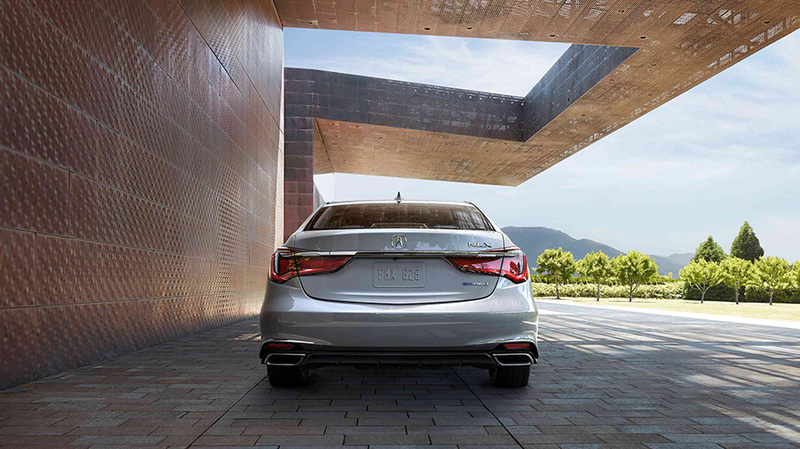 Both 2018 RLX models feature the unique AcuraWatchTM suite of safety and driver-assistive technologies as standard equipment, enhanced by the addition of the new Traffic Jam Assist, a first for Acura. Working in conjunction with Adaptive Cruise Control and Low Speed Follow, Traffic Jam Assist (TJA) reduces driver stress in highly congested traffic situations by helping keep the vehicle centered in the lane and at a set interval from a vehicle detected ahead. Additional media information including pricing, specs, features and high-resolution photography is available at http://acuranews.com/acura-automobiles/channels/rlx. Acura is a leading automotive luxury nameplate that delivers Precision Crafted Performance, an original approach to technology and design that creates a new driving experience. The Acura lineup features six distinctive models – the RLX premium luxury sedan, the TLX performance luxury sedan, the ILX sport sedan, the 5-passenger RDX luxury crossover SUV, the seven-passenger Acura MDX, America’s all-time best-selling three-row luxury SUV and the second generation NSX supercar as the pinnacle expression of Acura Precision Crafted Performance. 2 MSRP (Manufacturer’s Suggested Retail Price) excluding tax, license, registration, $965 destination charge and options. Dealer prices may vary. 3 Based on 2018 EPA mileage ratings. Use for comparison purposes only. Your actual mileage will vary depending on how you drive and maintain your vehicle, driving conditions, battery pack age and condition, and other factors.